So I read the blog post touting the amazing new iOS 11 Siri integration with Evernote and have been trying to use it but without success. 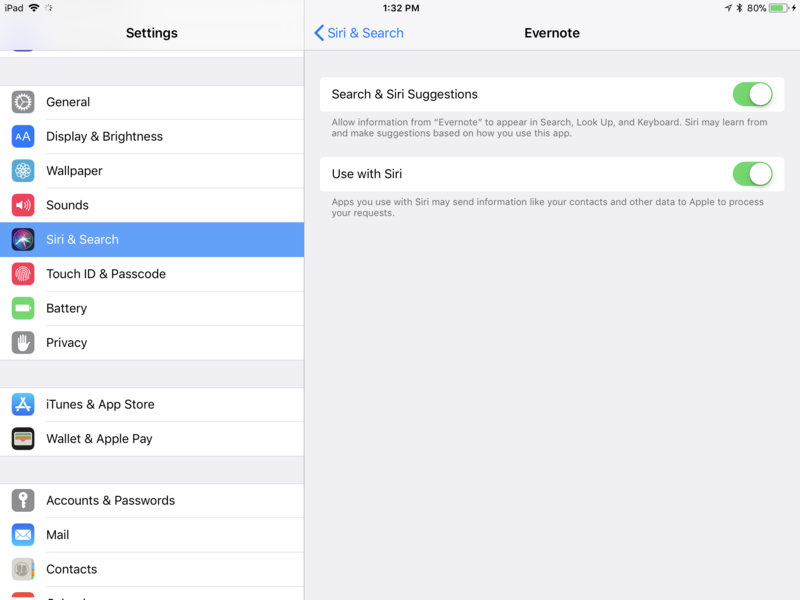 I've enabled Siri for Evernote, and have updated to the latest version of Evernote. I tried telling Siri "Evernote, make a note about blah blah blah" and to my surprise, Siri makes an Apple note, not an Evernote note. 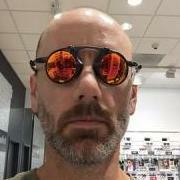 I tried all of the suggestions in the blog post. Can anyone help me with this? Am I missing some setting? Example 1 creates an Apple note. Example 2 modifies an Apple note. Example 3 creates an Apple Reminder. Example 4 just opens Evernote. "Create a note in Evernote"
Siri then asks me what I want to put in the note. So I tell it. Then it asks to confirm. Then it creates it. 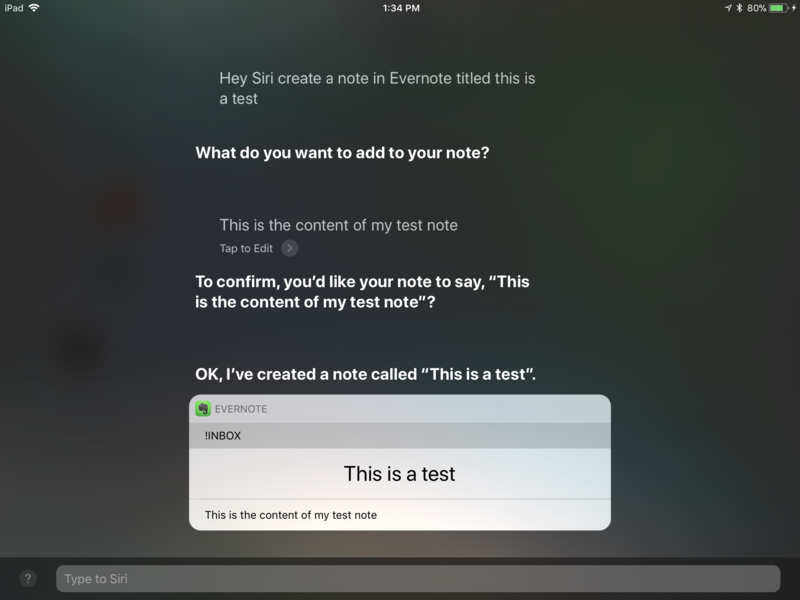 So it seems that the blog post example syntax for Siri to create notes in Evernote is wrong. Even that wording doesn't work for me. It randomly works to create a note in Evernote for me and I have tried about 20 different ways of saying it. This feature is far from useful as long as Siri confuses what we want with using the Apple Notes and Reminders apps. Understanding "natural language" as the post in Support & Help says, is FAR from true. Doesn't work for me either!! Siri voice commands work for me most of the time. I’ve had some issues with this feature, but it does work. First, however, there is a setting you have to enable or else it will not work at all. With that enabled, you then can have Siri create notes in Evernote. See the screenshots attached. I've been trying to use siri/evernote in Portuguese and ... no way!!!! What a pity!!! I can get this to work, but only in the sense that it will create a new note in Evernote. I can't get it to append an existing note. I have a note I created in my personal premium account called "Capture". I created it in the iOS client (not via Siri) and the note title is "Capture". I asked Siri to "Add 'order lunch' to my 'capture' note". Siri said "To confirm, you'd like your note to say "Add order lunch to my capture note". If I say no, I can't get Siri to correct it. If I say yes, it creates a new untitled note with the body text of "order lunch to my capture note". I'd add screenshots but this forum will only allow me to upload images that are 40.96 kb in size??????? Any way to change it from this tiny upload number? Also, it doesn't appear that Siri note creation is supported Evernote Business...anyone know if is this correct? I actually say "Evernote, add ..."
Siri comes back with a list of posible notes and asks which note to append to.